Home » Greenroom » Alsco Is Proud to Sponsor the 2015 Restaurant & Catering Awards for Excellence. Alsco Is Proud to Sponsor the 2015 Restaurant & Catering Awards for Excellence. The prestigious award honours the very best in the restaurant and catering industry across various categories. Alsco, a premier hospitality and restaurant linen and chef coats rental company is pleased to be a national Gold sponsor of the 2015 Savour AustraliaTM Restaurant & Catering HOSTPLUS Awards for Excellence. These awards are the premier definitive awards in the restaurant and catering industry recognising the best in various aspects of restaurant and catering. The awards serve to honour best practices, recognise hard work and outstanding quality through a series of awards. Alsco is proud to be associated with this prestigious event which attracts hundreds of nominations from all over Australia across the various categories. The awards are reputed to be the most objective award system in the world. More details about the Restaurant and Catering Evaluation System (RACES) and the list of the 2014 winners can be found here. Nominations are now open for the 2015 awards. The closing date for the nominations is March 20, 2015. The nomination forms for the various categories can be found here. This year Restaurant and Catering Australia (R&CA) has appointed a new chair of judges for the awards. Stewart White has been promoted from the chair of the NSW Judges for the Awards for Excellence to the Chair for the National awards. Alsco CEO, Bryan McVeddy, would like to congratulate Stewart White on his well-deserved new appointment. For the first time this year, restaurants in Western Australia will also be recognised for their excellence in wine service. R&CA has also partnered with Wines of WA to bring the first WA Wine List Awards. This is an effort to encourage local food and wines. For the WA Wine List Awards, nominations are open till April 10, 2015 and the awards ceremony will be held on May 26, 2015. R&CA has a Lifetime Achievers Program. Started in 2003, these awards recognise and celebrate those who have made an outstanding life-time commitment to this industry. There is a Young Achiever of the Year Award which is given too. The winners are announced at the Awards for Excellence ceremonies. A formal dinner to celebrate the success of the 2014 winners was held on March 3, 2015 at the Parliament House, Canberra. Alsco is delighted to be associated with the prestigious Awards for Excellence that recognise the best in the restaurant and catering industry. Alsco is proud to service this industry with superior managed linen and uniform rental programs. 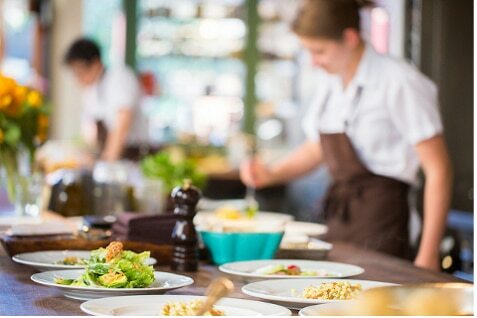 “ Our smart and stylish uniforms, crisp linens and soft wipes help restaurants and caterers throughout Australia to deliver superior quality service to their customers in a hygienic environment. Sponsoring these awards is a part of our commitment to our clients.” said Jane Lawrence, Marketing Manager at Alsco.